Begin with your knees on the ground. Lower down to sit on your feet. Bring your belly to your thighs. 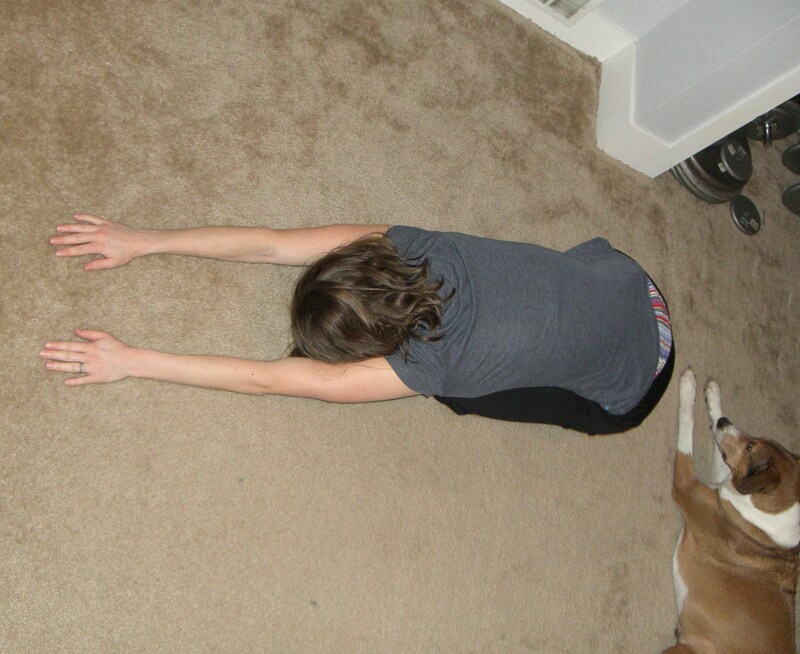 Rest your forehead on the ground and stretch your arms out in front of you. This should be a comfortable position. Stay in child’s pose for 60 seconds. Rest for 60 seconds and repeat if desired. do you exercise all day every day in some way?